Indubitably speaking, the Yoruba movie industry is evolving every now and then. New ideas are introduced into the modality of its performance. The continuous growth and advancement of the Yoruba movie industry are made possible through the continuous effort of very talented actors and actress. These very talented Yoruba entertainers have driven a lot of wealth to their pockets through the film they act and also through endorsement deals which of course involves millions of naira. Without wasting much of your time, I believe it is time to reveal the richest Yoruba actors and actress together with their net worth in Nigeria. Odunlade Adekola is a very talented actor who can fit into any role as a Yoruba movie actor. He is known for his very lively character and therefore an inspiration to aspirants who also which to make the acting their career. 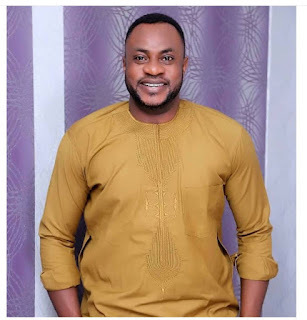 As an evidence of his talents and performance, Odunlade Adekola has won so many awards like in April 2014, he won the African Movie Academy Award, has emerged as the best actor of the year. Odunlade Adekole is one of the very few Yoruba actors that have starred in English movies. Some of the English films include; Wives on strike, new money, Taxi driver. Odunlade Adekola wealth is not one-sided, as all of his wealth does not come from the production, acting etc of films alone. He is also said to have won himself as a lot of endorsement deals from brands like Globacom and Goldberg. Odunlade Adekola is said to be worth over $1 million USD. The pertinacious Funke Akindele is the second richest Yoruba movie star on this list and the first richest Yoruba movie actress. After the release and reign of Jenifa’s diary, she became an unstoppable force, as Jenifa’s diary generated her lots of wealth. Funke Aknindele Bello was born on the 24th of August, 1977, in Ikorodu, Lagos state. Funke Akindele’s career began in the year, 1998 and she has been active still present. Funke Akindele has over 100 movies to her credit as an actress, writer, and producer. Funke Akindele wealth does not come from only acting, writing and producing movies; she has also won herself several endorsement deals. The most recent of this endorsement deal is her being signed as Ambassador to Iroko. Mercy Aigbe is one of the biggest Yoruba Stars who is not only acting but also a very popular businesswoman. She was born on the 1st of January, 1978 and hails from Edo state. Mercy Aigbe is also recognized for her exquisite taste for fashion. On November 2014, Aigbe launched her clothing store known as Mag Divas Boutique in Lagos. Evidence of her enormous wealth, Mercy Aigbe acquired herself a mansion that is said to be worth N200 million. Dayo Amusa is a popular Nigerian singer, actress, producer, director. This star actress was born on the 20th of July, 1984. She studied Food Science and Technology at Moshood Polytechnic become becoming an active actress in 2002. She is among of the few actresses who have had the chance to be starred in English movies. Some of the films she starred in include; Awo, Ekan Soso, Unforgivable and many others. 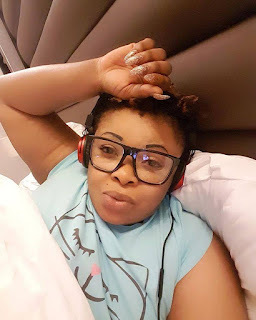 Dayo Amusa is not only a popular entertainer but she is also a businesswoman, as she is the proprietress of PayDab Schools which has two locations in Ibadan and Lagos. As evidence of her hard work, Dayo Amusa has earned herself a lot of awards, some of which include; Nollywood Females Face of the year 2017 pink Awards, Best Kiss in a Movie BON Awards 2014 and many others. She is said to be worth over $500, 000. Femi Adebayo also known as Jelili is another popular star Yoruba actor starred in so many movies and has endeared himself to a very huge number of Nigerians. Apart from being an actor, Femi Adebayo is also a lawyer and the Special Adviser to the Governor of Kwara State on Arts, Culture and Tourism. Femi Adebayo is the son of the very famous actor, Adebayo Salami; Yes! Entertainment runs in the Adebayo’s blood. Some of the films starred in by Femi Adebayo include; Omo University, Omo Ekun, Survival of Jelili., Death Island and many others. This Star actor is said to be worth over $500, 000 USD. Olaniyi Afonja is a Nigerian comedian, actor, and producer. He is popularly known as Sanyeri. Olaniyi Afonja’s acting career all began in 1992 after joining a theatre group. Olaniyi Afonja has starred in a lot of films, some of which include; Obakeye, Opa kan, Jenifa, Omo Carwash, Sekere, and many others. As evidence of his assiduous hard work, Olaniyi Afonja is entitled to so many awards. Wale Akorede Okunnu is a Yoruba star who is popularly known as Okunnu. Wale Akorede Okunnu has endeared the Nigerians to himself through his outstanding comic roles in Yoruba movies. He was introduced into the movie industry by fellow actor, Muyiwa Ademola. Before then, he was a businessman. Fathia Balogun is a well recognized Nigerian actress, filmmaker, producer, and director. Fathia Balogun was born on the 5th of February, 1969 in Ikeja Lagos State. Fathia Balogun peculiar acting skills have won her a lot of awards including the ones she produced. Some of the Awards she is entitled to include; Most Outstanding Actress Indigenous (2008), AMVCA (Best Local Language Yoruba (2015), African Movie Academy Award and others. Fathia Balogun has been in the active in the entertainment industry for a very long time now, she is said to be closely 27 years acting experience. She is married to the famous Nollywood actor, Saheed Balogun but it was later reported that they had a divorce. Muyiwa Ademola is a very popular Yoruba movie star and a big force to the success of the Yoruba Movie Industry. Muyiwa Ademola is a Nigerian Nollywood actor, film-maker, film producer and director. As part of his acting talent, he can fit and blend well with almost any role including comic roles. Muyiwa Ademola attended St. David’s High School Certificate. He later obtained a Bachelor of Education degree in Adult Education from the University of Ibadan; one would say that his intention was never to join the Yoruba movie industry. Just like Fathia Balogun, he became an active actor in the year 1991 and an acting experience of closely 27 years now. Iyabo Ojo is another popular and influential Nigerian actress, director and producer that has in no doubt made a huge name for her. Iyabo Ojo acting career all began in 1998. Presently, she has featured in over 150 films and has produced over 14 of her own. Iyabo Ojos is also the founder of Pinkies Foundation, a Non-governmental organization which caters to the children of high expectations but very exiguous opportunities. Iyabo Ojo is currently worth $350, 000. No Response yet for "Top 10 Richest Yoruba Actors and their Net worth 2019"